Hand Forged Carbon Steel Tanto w/ Leather Wrapped Ray Skin Handle 16.75" ov. 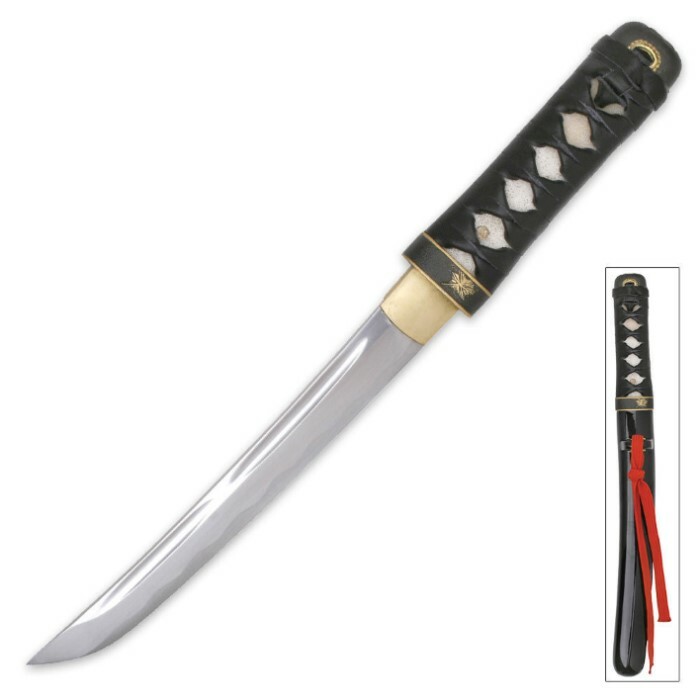 Crafted in the same style as the legendary tantos carried by the Samurai warriors of ancient feudal Japan, this exceptionally well designed collectible tanto is fully functional with a hand-forged carbon steel blade. Each blade is hand sharpened with a piercing point and a heavy blood groove. A decorative brass habaki adds a polished look to the 9.5"blade while the leather-wrapped genuine ray skin handle gives this tanto an elegant look and feel. 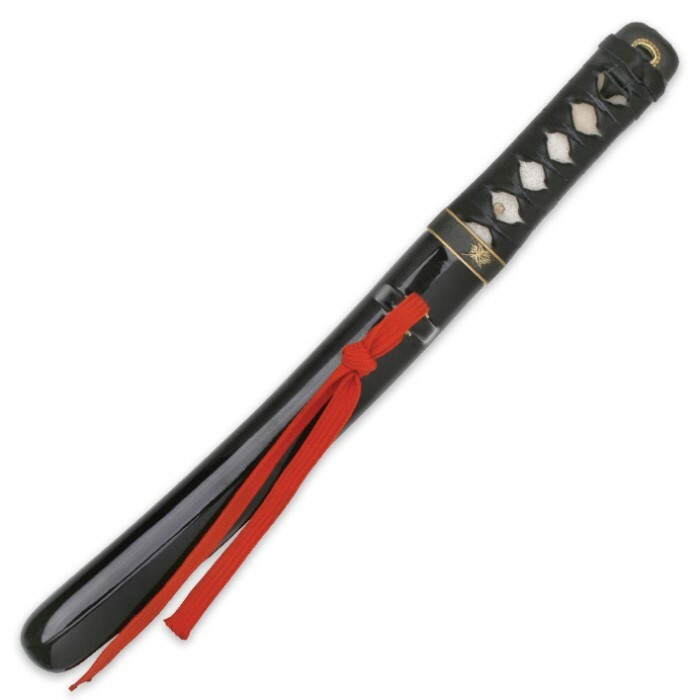 A high-gloss black lacquered scabbard completes the design. Not sharp. Fittings a little sloppy. Artificial hamon. It's ok for a $40 tanto. I received this today (after waiting for FedEx to figure out what state they were delivering to) and I was very happy when I opened it. Genuine rayskin and leather wraps are nicely done, nicely laquered saya. Then, I unsheathed the blade. Very nice. Appears to be a quality piece of steel and is nicely buffed. I personally like the faux hamon, too. The only thing that needs mentioning that is slightly negative is that it isn't very sharp. A little time and attention will mend that, however. Overall, very nice. I am satisfied.